More than 100 young people with disabilities from nine Wigan Borough schools competed in the third annual ‘Every Player Counts’ football festival at the town’s Soccerdome. 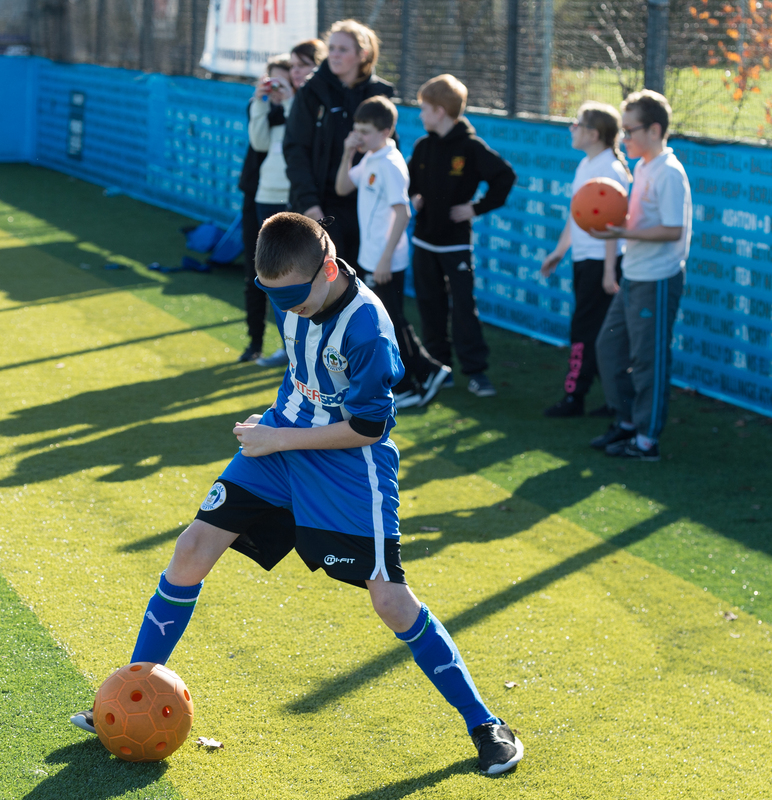 Hosted by Wigan Athletic Community Trust, the festival aimed to improve the skills and techniques of participants through a number of inclusive activities before taking part in a football tournament. The Every Player Counts programme is funded by the Wembley National Stadium Trust and administered by the EFL Trust, and was launched in Wigan by first-team stars Will Grigg and Michael Jacobs in 2016. Sean Rowlinson, Sports Coach at Wigan Athletic Community Trust, said: “This event continues to go from strength to strength with more and more young people involved each time. The festival this year was a real success and was well received by both participants and schools. The Community Trust engages with schools and colleges across the borough on a weekly basis as part of the programme, and works with the club’s junior and adult disability football teams who compete in the Greater Manchester Ability Counts League. Email Disability Football Officer Joe Pym j.pym@wiganathletic.com or call 01942 318090 for more information about the Every Player Counts project. To find out more about Wigan Athletic Community Trust, visit their ConnectSport directory page. To add your organisation to the directory, contact hello@connectsport.co.uk.